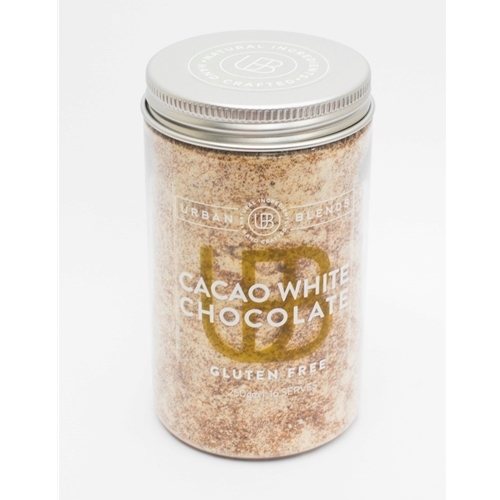 Urban Blends’ genuine Cacao White Chocolate harnesses real cacao butter to produce a mellow, creamy taste. Coupled with hints of caramel and vanilla, this authentic white chocolate t is not too sweet (a common complaint about white hot chocolate other brands) with and contains none of the commonly used artificial flavours and fillers. A personal favourite! Organic coconut sugar, skim milk powder, cacao butter, vanilla, sea-salt.